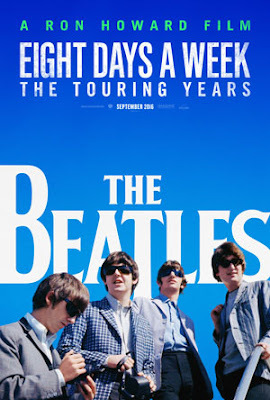 The Beatles: Eight Days A Week- The Touring Years opens in Australian cinemas on September 16 2016 and is distributed by Studiocanal. Now showing in UK, France and Germany and opening in the USA on September 16. Over the years, plenty has been written about the life and times of John Lennon, Paul McCartney, George Harrison and Ringo Starr who are, of course, collectively known as The Beatles. Biographical details are not hard to find out about the Fab Four, but what The Beatles: Eight Days a Week- The Touring Years sets out to achieve is something which is not as greatly covered in any previously written or recorded material and is incredibly refreshing, informative and cheekily amusing. For those who watch Eight Days a Week and were born post-1970, you come to the realisation sometime within the hour and a half that you really did miss out on something special by not being alive when The Beatles were together, especially when they were touring. Ron Howard's film documents both the actual act of The Beatles touring and the effect that they and their touring had on themselves as band members and the world. It highlights the amazing things which the cheeky and likable four did through use of recently found archival footage and interviews from people who saw them live so that we in 2016 can understand what made them so special. During their 1963-1966 touring years, Beatles-mania hit the world like nothing anybody had ever experienced before. John, Paul, George and Ringo were four boys from working class Liverpool who people took into their hearts not just because of their catchy tunes, but also because they were four friends just doing what they love and were not afraid to show everyone how much fun they were having. During the political and racial tension that plagued the early 1960's, their music and live shows had the incredible power to bring people together despite their background. The story of The Beatles touring is an unexpected cultural narrative told through the eyes of people witnessed the phenomenon and were moved by it including Whoopi Goldberg and Kitty Oliver, as well as news reels from the time and archived interviews from the band members themselves. However, for the four band members this was a huge burden to bear, especially with such an intense tour schedule. 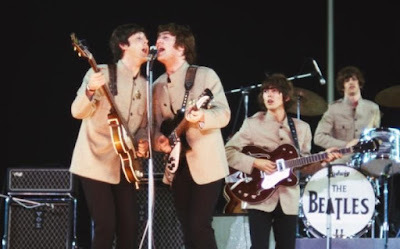 Interviews with the remaining Beatles, Paul McCartney and Ringo Starr reveal how during the touring years they went from being boys to men very quickly and eventually they all started to feel the strain of being on the road and in the public eye constantly. The film doesn't look a great deal at how each band member individually felt and how they coped, rather how they dealt with it as a unit. The viewer empathizes with the band members by coming to understand how heavy their workload along with their touring schedule was and feels the stress and burden the band understandably felt. It then becomes evident why they changed their style so dramatically in the later years and decided to no longer perform live. Eight Days a Week is without a doubt a must see for any Beatles fan. The film showcases pieces of live footage taken by Beatles fans from their shows that have never publicly been seen before. For those who weren't there, you feel as though this film is the closest you will get to the real thing with the vivid accounts by concert goers accompanied by the live footage. Eight Days a Week also does have a comical element to it because, as any Beatles fan will know, the boys loved to be playful and joke around. 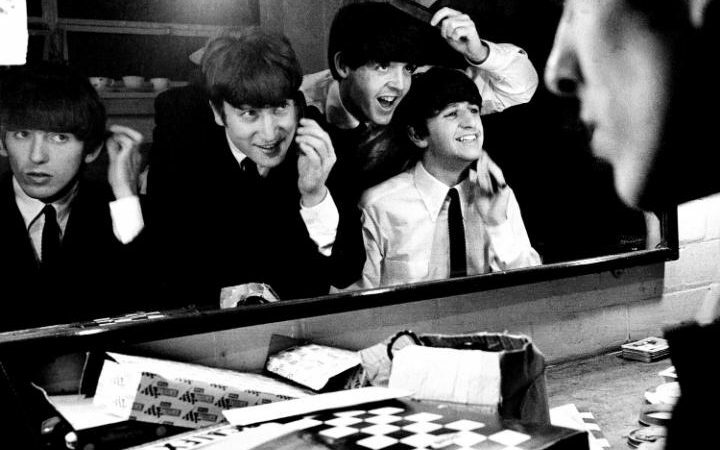 Of course, the legendary music is an obvious feature of the film and there are many Beatles tracks including "She Loves You", "Help" and "Eight Days a Week". For those who are not fans of The Beatles and are not familiar with their background (which may be the case with members of the younger generation), Eight Days A Week will provide merely the basics about the band. This is something that people who know more about the band will be thankful for as it is original, but others will feel irritated by as it may be hard to enjoy the movie without knowing the finer details. Much of the Beatles story is left out of the film as it is assumed knowledge by the filmmakers. Yet, this isn't a real criticism as one can imagine the large majority of the people seeing the film will be Beatles fans or at least know something about them so this is a forgivable assumption. The Beatles: Eight Days a Week- The Touring Years is incredibly unique as it looks at The Beatles and their story from a different angle. It focuses purely on one period of the band's history and explains how this stage of their existence affected the world and how the world affected them. It is a defining piece in their story, but also enjoyable for any music buff and Beatles lover.